WHY SHOULD YOU BE AT THRIVE 2019? So why should you carve out time from your busy schedule in October to be a part of THRIVE 2019? Simply put, no other event inspires, celebrates, and energizes success in the business of architecture, engineering, and construction like this two-day experience. What started many years ago as a venue for A/E/C CEOs to exchange ideas and best practices has evolved to be so much more than that. Today, this annual event attracts hundreds of A/E/C firm leaders from Marketing Managers to Principals to CEOs. Through inspiring keynotes, action-oriented breakout sessions, and plenty of networking time, you leave with a renewed sense of energy and excitement for the opportunities that lie ahead. View photos from last years event. When we say that this event has the power to ignite your A/E/C firm’s growth potential, we mean it. But, igniting growth potential doesn’t just fall on the shoulders of the CEO. Everyone in the firm plays a role and everyone in the firm stands to benefit from being a part of THRIVE 2019. 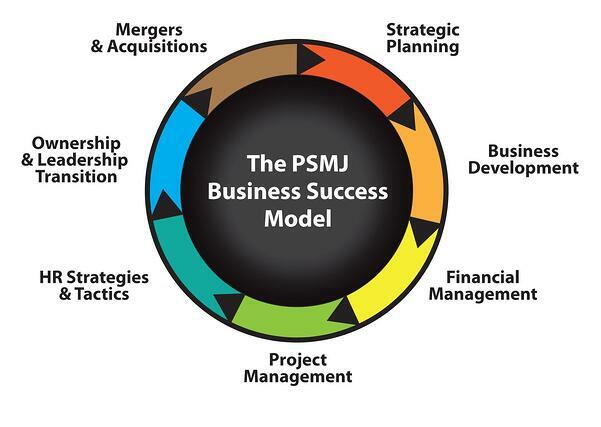 That is why we built THRIVE 2019 around PSMJ’s popular Business Success Model to ensure that we cover virtually every facet of A/E/C firm management. 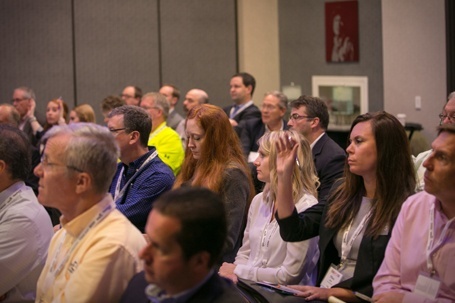 "This event continues to be one that is most educational in our industry. Great range of topics. Challenging and broadens my thinking. Great job. I'll be back next year!" "I always leave the THRIVE conference with a multitude of ideas we can implement for our firms. It's the best conference I attend each year." - Brad Beck, Beck Engineering, Inc.
"Great conference and group of attendees. First time in this conference and will be back next year." "I have been to many different industry conferences and this one was one of the best." M&A versus organic growth...which path to choose? Whether your passion is marketing, finance, project management, human resources, strategy or all of these things related to A/E/C business management, this is one event across all of these areas with one common focus...long-term sustainable growth. In our training and consulting with firms from just about every corner of the A/E/C industry, one common sentiment amongst firm leaders is that they want a vehicle to begin exposing and immersing their emerging leaders in non-technical content that will be vital to their future success. That’s why we’ve designed THRIVE 2019 to encompass a diverse mix of perspectives, experience, and objectives...from experienced CEOs to emerging A/E/C professionals and everyone in between. Together, we plot out the opportunities that lie ahead and what you need to do to capitalize on them. THRIVE 2019 is about giving you the tools to speed growth and improve financial performance. Thousands of participants have achieved those results. If for any reason we can’t do that for your firm, simply let us know in writing within 30 days of the event. We will issue you a refund or arrange for you to attend another PSMJ event at no cost. There’s absolutely no risk involved. 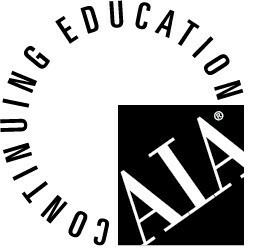 THRIVE 2019 is AIA CES Registered to provide this content and earns you 11.50 LU Hours, CEUs or PDHs. Not all state and licensing boards accept these programs for learning units. PSMJ is a registered provider with the Florida Board of Professional Engineers, provider #0003546. PSMJ is a registered provider with the Florida Board of Landscape Architecture, provider #0002844 course #0007693. For more information, please contact Timmery Kuck via e-mail at education@psmj.com or via phone at (617) 965-0055. © 2019 PSMJ Resources, Inc.